A couple of weeks ago SamMobile reported that according to their sources, the S4 will use an LCD not an AMOLED display. A week later they posted that the S4 will actually use an OLED. 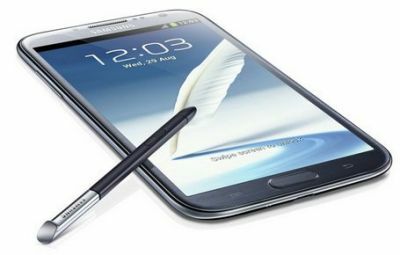 Samsung will announce the S4 tomorrow and we'll know for certain, but in the meanwhile the same blog now reports that the Note 3 may use an LCD, according to their sources. I don't know whether we should regard those SamMobile reports as serious, but they do still create a hype and a lot of sites re-post these articles - so I wanted to post on it as well. According to the new rumor, an insider from Samsung says that the company is still in internal discussions regarding the upcoming display. If they choose an LCD, they might go with the latest ones from Sharp.